For the past 12 years, we have been providing lunch for over 120 children at St. Joseph Primary School and Ebenezer Elementary School. With the help of West University (Houston), we added 200 children from the St. Martin De Porres School 2016-2017 school year. 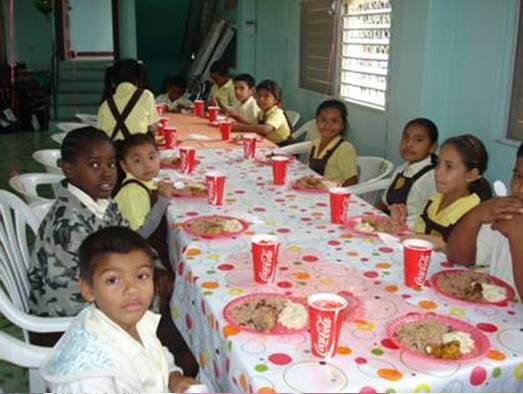 This feeding program benefits 300 children. Throughout its 60+ years of active life, the Rotary Club of Belize has completed numerous projects in all walks of life, beginning with the construction of the Stella Maris School, Read more..
© 2018 Rotary Club Of Belize. All rights reserved.